Since smoking cigars is supposed to be a relaxing experience, there’s no need to rush lighting-up. 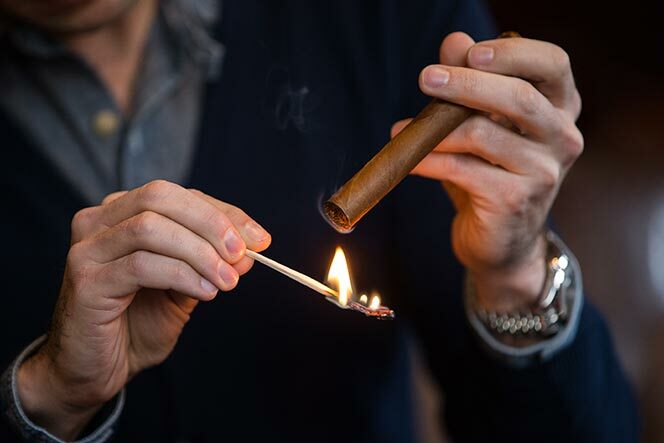 Using a match or soft flame takes more patience, but if done correctly, your cigars may smoke and even taste better. Using a cedar cigar matches is the most elegant way how to light your premium cigar. To maintain the taste and aroma of the cigar you should always use odorless flame. Avoid paper matches which are full of chemicals to keep them burn slower. Once you cut or punch your cigar according your preference, its time to light the wooden / cedar cigar match. 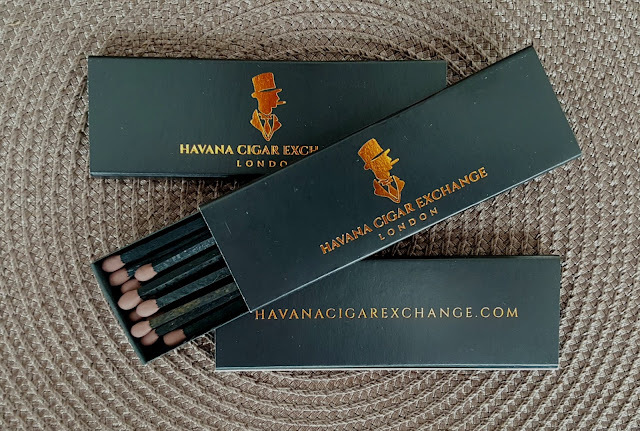 Leave the head of the match burn all the way until the wooden part of the match catch fire to avoid any chemicals residue to influence the taste of your cigar. The cigar should be held at a 45º angle above the visible flame, where it is the warmest. 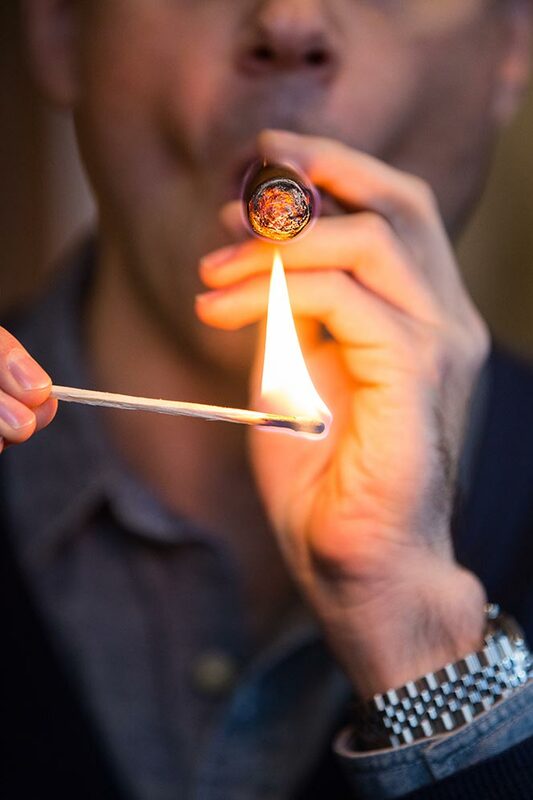 Lighting the cigar directly in the flame will carbonize the tobacco, harming the flavor. Rotate the cigar to ensure that all sides are heated evenly. Most importantly, take your time. Be patient and allow the flame to create a glowing ring around the circumference of the cigar. Once the cigar is lit, gently blow on the embers to create a smooth, rounded ash. Now you're ready to take your first puff. Some purist cigar smoker like to finish off the lighting with couple more puffs while toasting and rotating cigar and finish with a gentle blow to see if all the edges are lit evenly. 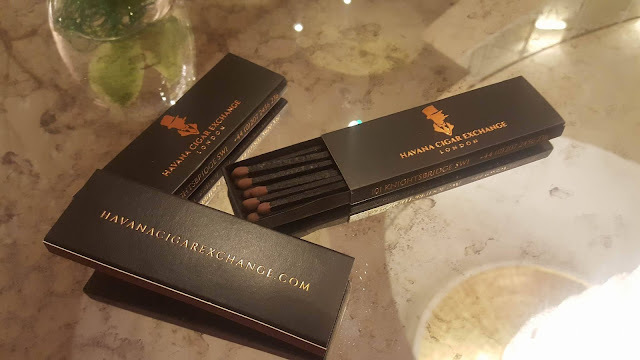 Havana Cigar Exchange cigar merchant offers their premium cigar matches for their customers with every cigar order and also they are available in packs of 3 and 5 on their website.